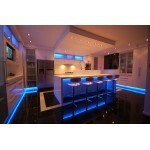 A kitchen refurbishment can bring about a dramatic change in the style and overall aesthetics of your home. While planning to renovate your cooking space, consider replacing your existing kitchen cabinetry, which can be the simplest way to accomplish redecoration. Kitchen cabinetry is one of the most significant and noticeable parts of a kitchen. The type of cabinet used can elevate the appearance of your cooking area to a great extent. In addition to this, your kitchen storage space is maximized and you can safely store all the kitchen utensils and necessary commodities in your immediate vicinity. Ready-to-assemble (RTA) kitchen cabinetry is currently quite popular among homeowners and designers alike. These cabinets are affordable despite having the most exquisite style, design, and quality. If you are on the lookout for a cabinet that is easy to install and want the pleasure of assembling your own kitchen cabinetry, then RTA cabinetry will be a suitable add-on in your living space. Here, the major benefits of RTA kitchen cabinets are discussed below to help you understand why they have become the ultimate cabinet choice for homeowners in modern times. Ready-to-assemble cabinets are an ideal choice for any home as they provide a variety of options to choose from. Available in a variety of finishes, grains, details, and with numerous color options, RTA cabinetry can be designed to match the specific color scheme and décor needs of your kitchen, while fulfilling all your functional needs. RTA kitchen cabinets are also found in various sizes and arrangements, that give you more flexibility during construction. 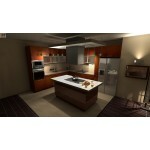 You can select the cabinets that will accommodate all the appliances and utensils that you already possess. There are also full height RTA cabinets that can house long items, like brooms and other cleaning tools, tall electrical equipment, etc. So, you can completely rely on RTA cabinetry that will stand out in your kitchen with its distinctive designs, patterns, stains, and finishes. RTA kitchen cabinets are generally constructed with high-quality materials that make them durable and beautiful. The most affordable ready-to-assemble cabinetry has hardwood doors, frame, and drawer fronts, whereas plywood is used to make the insides of the cabinet. 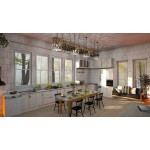 There are even all-wood RTA kitchen cabinets that can add warmth and old-world charm to your kitchen. Whichever kind of ready-to-assemble cabinets you choose, you are guaranteed to get a superior quality cabinet that will last for years. 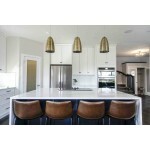 RTA kitchen cabinets are more affordable than other types of custom cabinetry. This may prove highly beneficial for those who are planning to remodel their kitchen on a budget. Without compromising the quality, you can still get beautiful and functional cabinets that will look as great as custom cabinetry, but at a much lower price point. Furthermore, there is no need to call in a professional to assemble the cabinets, as they are very easy to assemble and install and can be done by anyone who has the right set of instructions. You can build the cabinets yourself and create a cabinetry design of your preference while also saving money. This cost-effectiveness of ready-to-assemble cabinets allows you to be a value shopper and stay within your budget, making the best purchase at an affordable price. As a result, you can utilize the saved money in adding new appliances, or in renovating your countertop space, and more. RTA kitchen cabinets are dispatched with the parts and instruction manual from the manufacturer to help you assemble the components and install the cabinet yourself. Once the package arrives at your home, you can construct the cabinet easily making use of basic tools such as a hammer, screwdriver, nails, and wood glue. In addition to the manual provided, you can also get help from the online tutorial videos with stepwise assembling procedure. If you prefer assembling and installing your own cabinets and want to take pride in self-installation, then this RTA cabinetry is the right choice for you. There is nothing that can provide greater happiness than creating something on your own. Thus, in addition to the multiple benefits offered by these cabinets, RTA cabinets can surely give you the unique satisfaction of making the finished product by yourself. On placing your order, ready-to-assemble cabinets can be delivered rapidly by cabinet suppliers. As they are always high in demand, RTA cabinet parts are in stock almost all the time. After you decide on the design of your cabinetry, choose the components, and click the 'purchase' button, these will be delivered at your place within one or two weeks. RTA cabinets need low turnaround time than many other custom cabinets. This is because these cabinets do not need to be fully constructed and assembled before delivery. Moreover, RTA cabinet parts are always stored in the warehouses. All these result in lower turnaround time for this cabinetry. On the other hand, custom cabinets are made by craftsmen and require assembling at the store, so these cabinets need a higher turnaround time. Owing to the major advantages offered by RTA kitchen cabinets, homeowners are preferring to install this cabinetry in their kitchens. It makes for an ideal storage solution due to the economical rate, supreme quality materials, and flexibility in designing and assembling. Even if you are inexperienced about cabinet designs, you can easily install this cabinet in your kitchen to heighten the overall beauty and functionality of your home effortlessly.